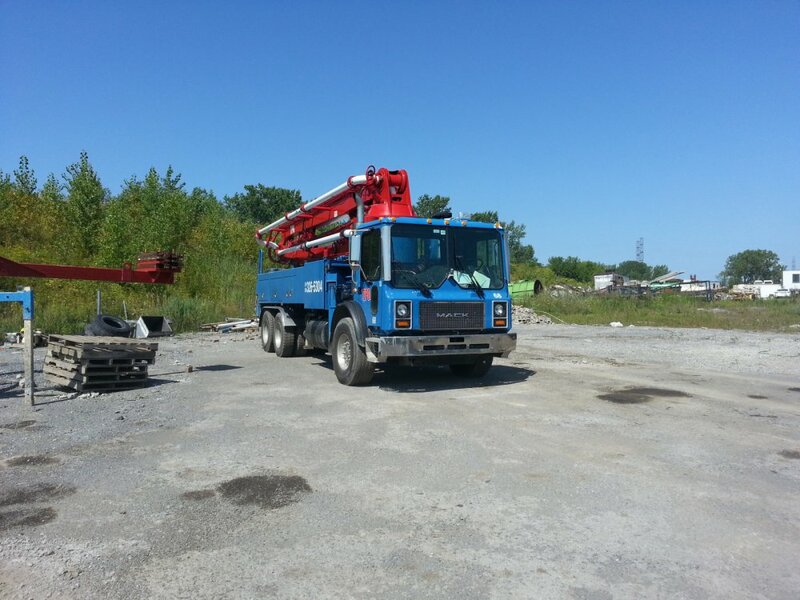 2004 32M Schwing Concrete Pump on a 2004 Mack. "Roll-and-Fold" style 4-section boom. Contact us to find out more! © 2016-2019 TPG Concrete Pumping - All rights reserved.